On February 22nd I will do a DJ set with Vincent Bernat aka DJ Grounchoo (Balkan Party Barcelona) in Barcelona: Presale tickets are availabe! 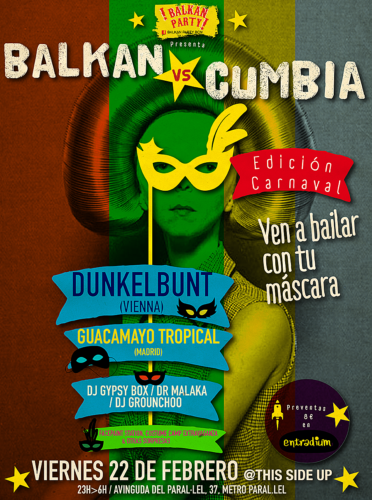 #BalkanPartybcn brings you a night full of masks, dances, circus and a lot of music #balkanvsCumbia Carnival Edition. Come dance with your mask!